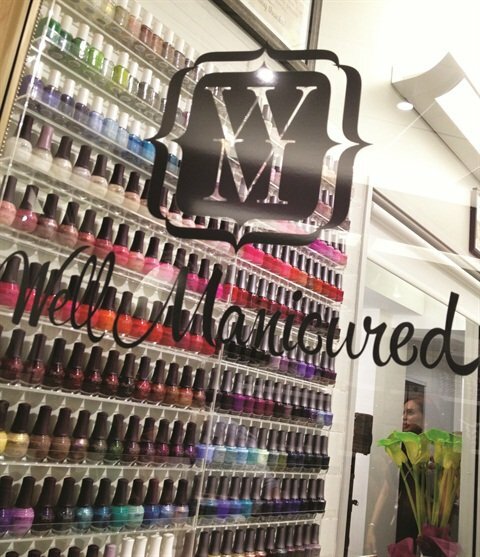 Melanie McCulley opened Well Manicured in January 2015 after doing nails for 18 years. Her entire family is in the hair salon business, but, as fate would have it, she disliked doing hair. She dropped out of cosmetology school and transitioned to a manicuring program at age 18. After moving from Florida to Los Angeles, she decided she didn’t want to work in a salon, so she answered an ad on Craigslist to do mobile nails for a wedding company. After just three months, the owner of the mobile business offered her a different sort of opportunity. She had been working with an agency that represents beauty personnel and when she decided to leave, she handed McCulley over to them in her place. McCulley ended up working on video sets and in celebrity homes for the next five years. When the commute in Los Angeles traffic became too strenuous, McCulley decided she wanted to start building a clientele closer to home. She rented a small room in an existing salon and within six months she was completely booked solid. Two years later, Salon Republic, a salon suites company, recruited her to lease a 400-sq.-ft. studio space nearby — which she did. “Everything has just kind of fallen into my lap, which gives me confirmation that this is where I’m supposed to be,” she says. McCulley’s salon, called Well Manicured, is situated in Hermosa Beach, Calif., an affluent beachfront city. McCulley lovingly describes the location of the salon as, “nestled in the heart of the South Bay.” As an owner, she believes it’s important for her to live close to where she works. This makes things much easier in case of an emergency or when she needs to implement any changes. 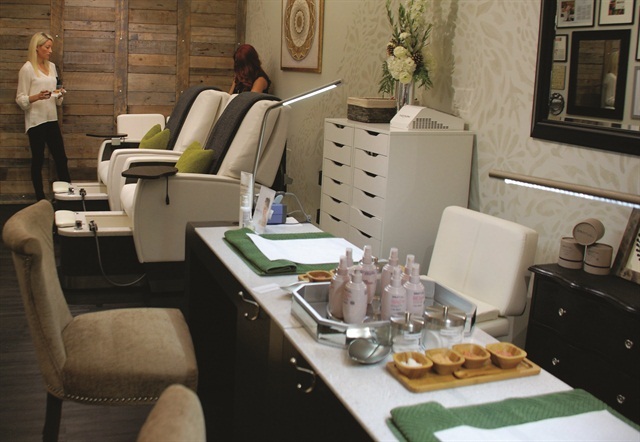 Well Manicured offers a range of services, including nail care and lash extensions. Gel manicures start at $50 and pedicures start at $60. 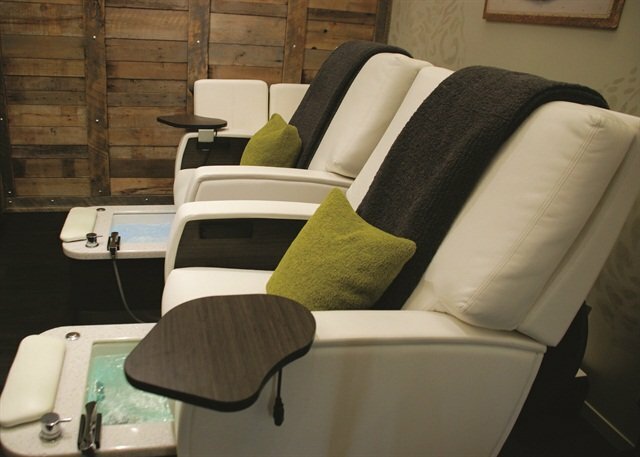 The salon offers a Nails for Males service as well, where they pamper their gentlemen guests with SpaRitual’s Instinctual bath salts and massage lotion. A men’s manicure is $25 and a pedicure is $40. The salon also sells a lot of retail product. Anything that employees use on a customer is available for sale, from blankets to foot balm. McCulley takes pride in her “mindfully inspired” retail. “We only sell items that nourish, uplift, or enhance a customer’s life in a meaningful way,” she says. 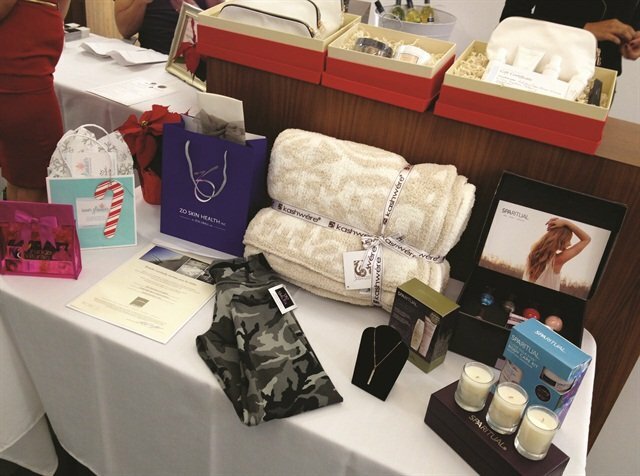 Some of these products, such as eucalyptus shower spray, soy candles, and various local products, are staples. She does try to bring in something new every month, and sells boutique items like jewelry, flip-flops, and meditation beads; the proceeds from the beads are donated to women in need. The typical customer at Well Manicured is in her mid-30s to late-60s, and many are mothers or professional women. However, McCulley loves catering to men as well, and is working toward increasing marketing toward male clientele. Many of the salon’s Yelp reviews praise the staff’s knowledge about their products, the way the team made them feel, and the salon’s online booking system. Clients can get e-reminders and green receipts, change their appointment online, and order gift cards. Every Monday morning, McCulley sends out a newsletter that tells her customers all of the openings she has left for that week and includes an inspirational quote. She is often told that her “mindful manicurist quote of the week” is what keeps them coming back for more. The newsletter certainly helps business. “By the next day, 90% of the empty slots are usually filled,” she says. There are perks to working at Well Manicured. McCulley has used her own experience working under former bosses — some good, some not so good — to shape her own management style, which leads with: Treat others the way you’d like to be treated. She makes sure to properly train her staff, and encourages trade show attendance. Most training is done in-house, and McCulley often has a SpaRitual product representative come in and instruct them on product knowledge in two- to three-hour sessions. She has also rented a van and taken staffers to SpaRitual’s headquarters in Van Nuys, Calif. “I feel that when they see how and where the products are made, they gain more appreciation for the product,” she says. She also ensures that all of the products they use are clean and organized properly so they don’t have to go searching for what they need and can focus completely on the customer. McCulley has an open door policy and is always there to comfort and communicate with her employees. She often buys them lunch and takes them out for employee appreciation nights. The mantra of the salon is “living a polished life from the inside out.” McCulley places an emphasis on being mindful and conscious not only of the things that people do, but also the materials they put on their bodies. 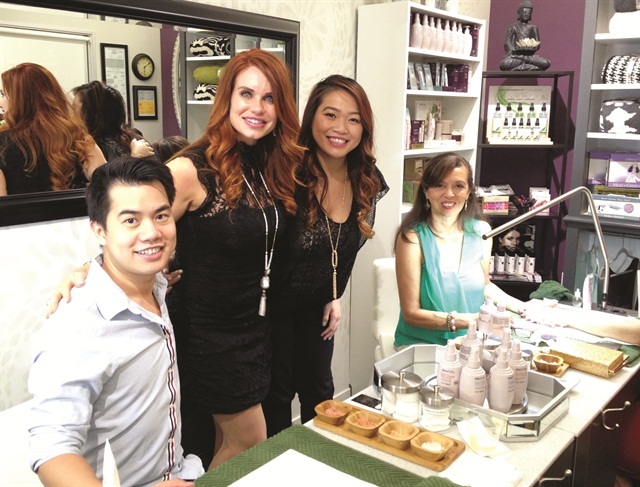 She values the rituals her clients enjoy in their lives — including their nail services — and aims to nourish them not only on the outside, but also on the inside. McCulley stays abreast of what is new and happening in the world of nails by reading various salon publications, being active on social media, and watching how-to videos on YouTube. She doesn’t advertise, because social media gets the job done. Well Manicured has over 40 five-star reviews on Yelp, which continues to drive more clients straight to her doorstep. The salon offers newcomers 20% off their entire service. She also offers a $10 referral gift. Business is booming, and McCulley expects to grow out of the space she currently works in within the next year. In the future, she would like to expand beyond just nails, and offer other services like organic airbrush spray tanning, massage, and energy work, such as Reiki.